After alleging that he was being singularly targeted by the higher judiciary for being a Dalit, Justice Karnan remains defiant, and said that he would not attend the contempt proceedings before the Supreme Court on March 31, reports ,'The Hindu'. This is despite the fact that the Supreme Court had, on Friday, issued a bailable warrant against him, for his failure to appear before the Bench. The Court is hearing suo-motu contempt proceedings against him, for openly accusing Judges of corruption. 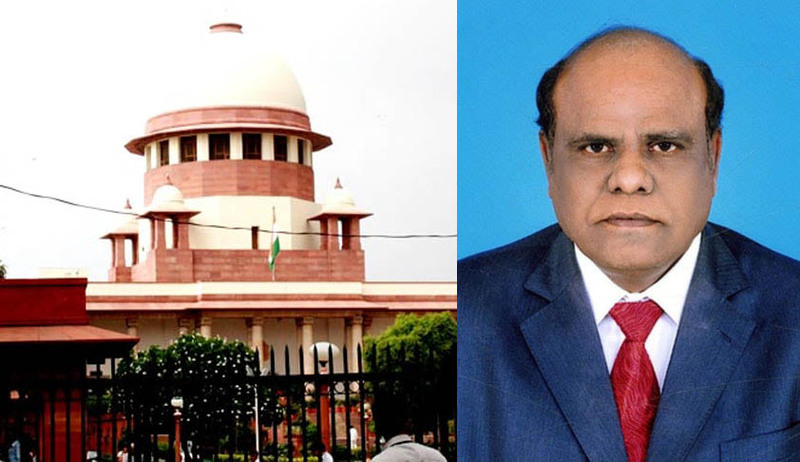 Justice Karnan had, however, hit back with an order directing the Central Bureau of Investigation to investigate and file a report against the seven Judge Bench and Attorney General Mukul Rohatgi. He had further directed the Secretary General of Lok Sabha to place the entire facts of the case before the Speaker of the Lok Sabha, so that inquiry under the Judges Inquiry Act can be initiated, and proceedings of impeachment against the SC judges can be carried out.